Modeled after the Ariette line, the Series-3 grip offers the same low profile, and wear resistance as the Ariette, but features additional material on each end to help stop the bars from tearing through the grip ends. 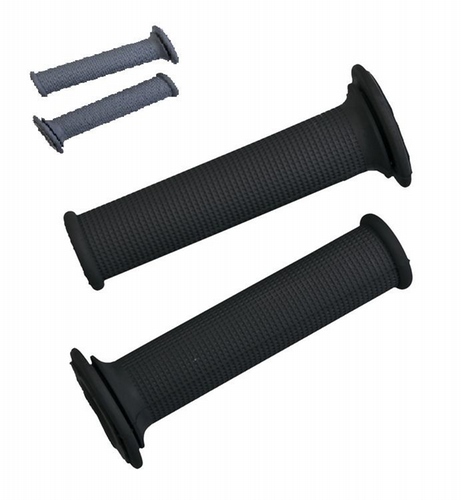 Series-3 grips are made using a natural rubber compound that becomes extremely pliable after break-in. The natural compound also resists wear better than most other synthetic rubber compound materials. Fits all modern and vintage bikes using a 7/8" handlebar diameter.